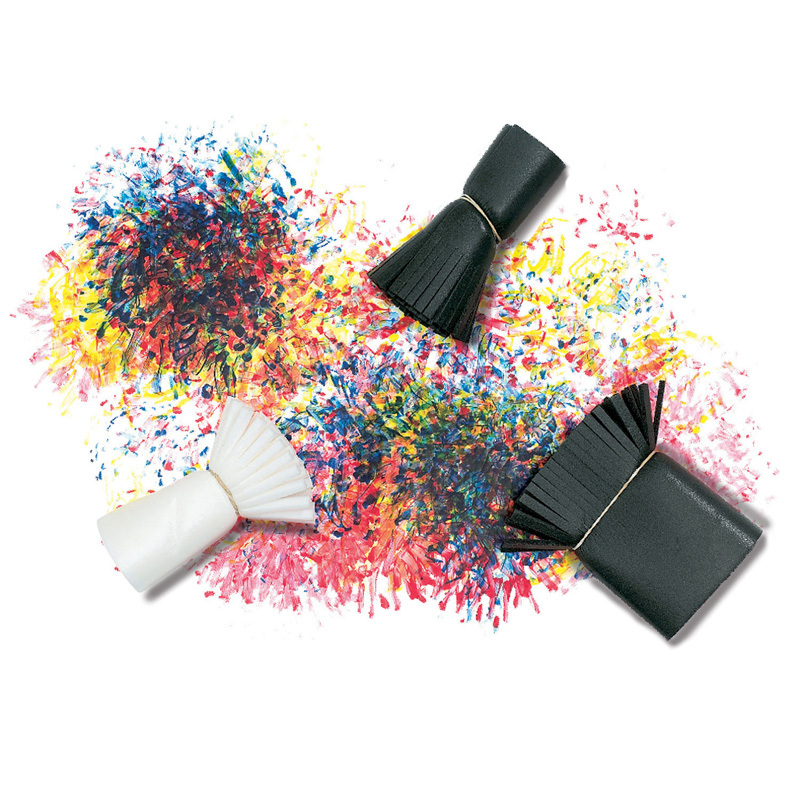 Durable Foam brushes are easy to clean. Available in distinct patterns kids are sure to love. Easy-to-grip handles have built-in storage loops for hanging. Foam paint rollers measure approximately 6". Each set includes 4 foam paint rollers in wide stripe, checkerboard, hearts and stars designs. The Foam Brush Set Stripe Checkerboardflowers Hearts 4st can be found in our Paint Brushes product category within the Arts & Crafts. Dip, dab and create. 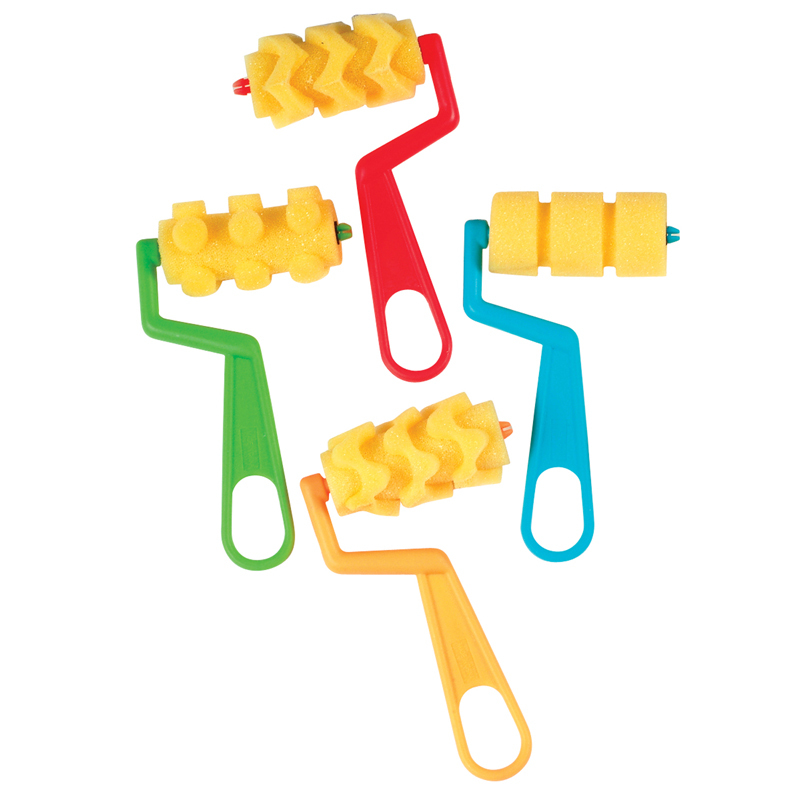 Set of six fun foam brushes on plastic handles. Different pressure makes unique patterns. Encourages experimentation! 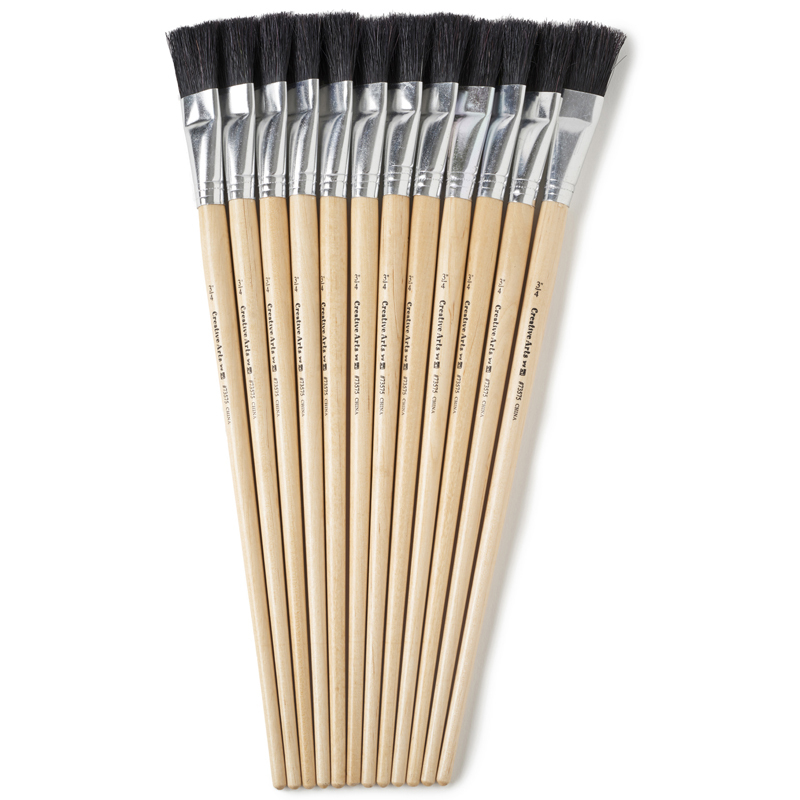 Durable Foam brushes are easy to clean. Available in distinct patterns kids are sure to love. Easy-to-grip handles have built-in storage loops for hanging. 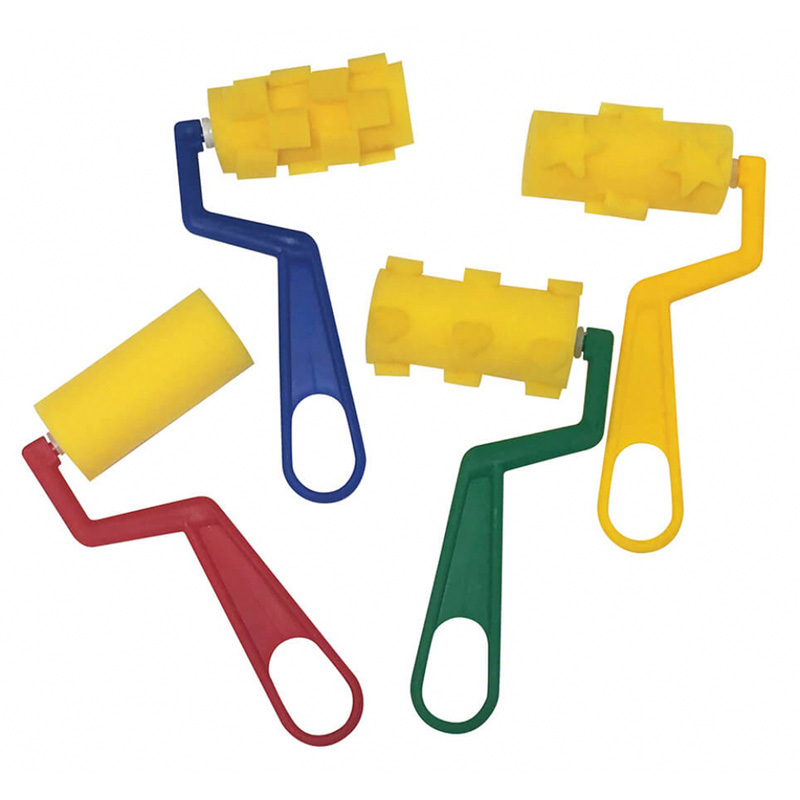 Foam paint rollers measure approximately 6". 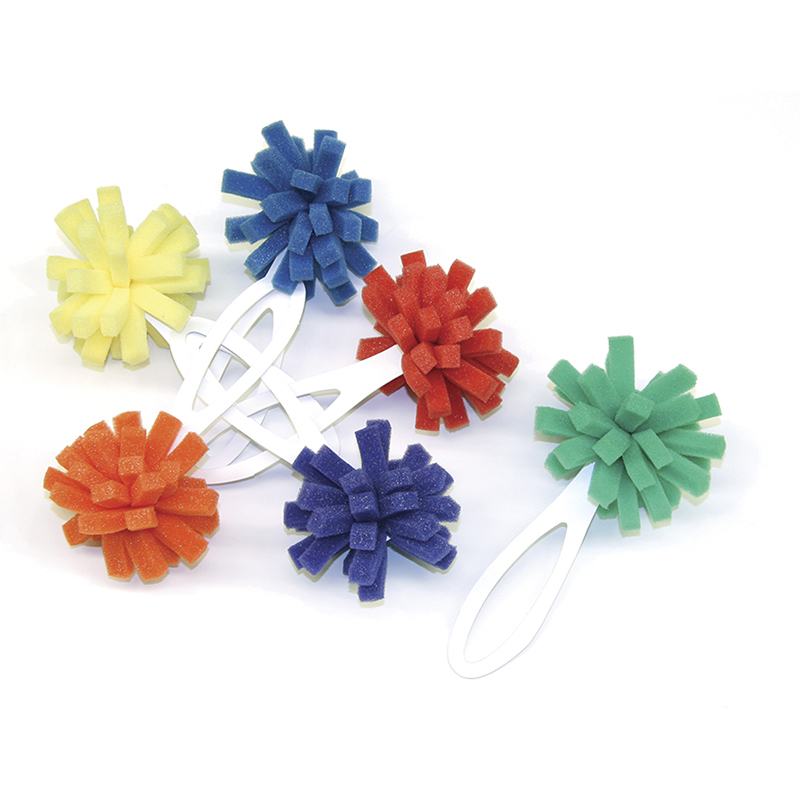 Each set includes 4 foam paint rollers in dots, zig-zags, waves and stripes designs.